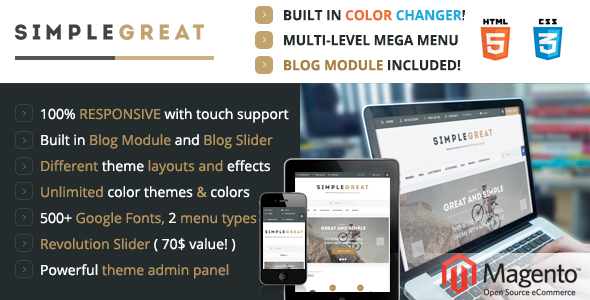 SimpleGreat – Premium Responsive Magento theme with Blog, Powerful admin panel, and Unlimited colors! Built in 8 predefined Color Skins! This theme supports Magento Community Edition 1.8.x and 1.9.x, as there are NO modifications in core files.